Narrator: Rough and tough as a “Beat It” knife man, Vincent Paterson went on to choreograph and direct a string of Jackson videos. VP: You know I got the opportunity to work with Michael a lot during sort of what I call “the hey day” you know, and at that point everything was always a rush especially as a choreographer/director because you knew that, first of all, what was going to be seen by half the people on the globe. 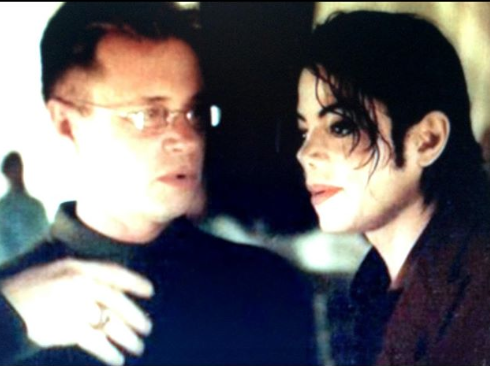 The fun part of the years I worked with Michael was that in every video we sort of played with different techniques. 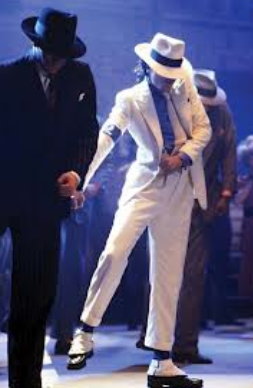 I took stuff in Smooth Criminal and gave him the first bit of partner dancing that he had ever done or that most people had ever seen on MTV as well as some effect things with those guys leaning over and all. When I did “Black or White” I pulled in dances from all over the world and then Michael learned little snippets of pieces that were international folk dances basically so Michael has never shied away from any form of dance at all, whether from street dance to Russian .. whatever the hell that’ called (VP crosses his arms) you know! (laughs). He’s the best male dancer that’s ever appeared on music videos, ever in the history of music video and probably ever will be. Michael would work a move 20 to 100 times non stop, repeatedly, repeatedly until it was so in his body that he never had to think about it and consequently when it came out it always looked like it just flowed and his energy when he moves – it’s sort of like when you’re in the room with him and he moves you get — look, I have goosebumps right now just talking about this you know um, it’s something that you don’t quite know until you experience it. VP: You create things differently for video than you create them for stage. Everything has to be bigger and more dramatic because you’re dealing with thousands of people watching. I don’t know if there is anyone bigger in most places around the world than Michael Jackson so anywhere you go where a billion people, you know, flocking around you. Seth Riggs: (06:22) In one concert in Brussels there wasn’t one big enough to house all the people that wanted to see the show, so we drove outside of town and at the edge of a woods we set up the (6:31) Persenium and all the trucks and everything that contributed to lighting were moved to the inside and there were people on the fields for acres and acres and acres. Unidentified Man: Michael always had this tremendous popularity in Asia, in Europe, and in the late 80’s Michael, in one month made 14 – 15 million touring Japan and undoubtedly, made more than that in later years. Int: What kind of study did you do? VP: I never studied dance. I did go to college and I was lucky enough to go to college and I studied theatre and I have a degree in direction and dramatic literature but one day… I was living in Pennsylvania, I moved to Arizona, I wanted to live someplace warm and I saw my first dance concert and I though “Oh that’s interesting and maybe I should try that for exercise”. I took a ballet class and the teacher asked me how old I was, I said I was 23 and he told me “don’t every come back, you’re too old, you’re terrible, you have a bad body, you’ll never do anything with this. You’re wasting your time, you’re wasting my time.” I kind of got a little upset and started taking class with little girls and I just fell in love very quickly and I became addicted. I really knew nothing about dance, in fact the first dance concert I ever saw was – I returned back to Philadelphia when I was about 24, and some friends took me into Philadelphia to see a performance of Alvin Ailey and Judith Jamieson danced Cry and that was the first dance concert I had ever seen. On film the thing that I loved – on piece that I specifically loved was Fred Astaire and Cyd Charisse dancing in the dark, in the park in Bandwagon. VP: In Central Park (nods) and this was how I learned to choreograph. I memorized this piece, not with a partner but by myself because I couldn’t understand… it doesn’t look like they are going 5-6-7-8 but i did it again and again until I understood that, “no, you can’t choreograph that way, you can choreograph to the violin, you can choreograph to the cello, you don’t have to choreograph to the numbers.” So that was sort of how I began to understand what choreography was about. Int: Then later, you have this first meeting with Michael Jackson and it began in a strange way because you were a dancer in Beat It and from there you became something else. VP: I was fortunate enough in the very beginning. It was the early stages of music videos so they called me and said “would you like to try some choreography on Van Halen or David Lee Roth or something like this?” and I said, “sure, yea I’d love to do that kind of thing” so I tried and I really loved it and that is how it all began. Int: As a choreographer you worked with Michael Jackson making music history together. The 25th anniversary of the “Bad” tour will be in September. Could you share one of your wonderful memories of collaborating with Michael Jackson? Int: You ended up directing a large number of dancers in “Smooth Criminal”, what was the largest dance ensemble you worked with? 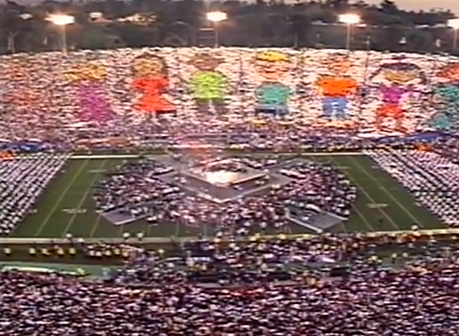 VP: Well I guess the largest group that I’ve ever given any direction to was when I choreographed the Superbowl for Michael Jackson and I had to talk to all of the people at the Superbowl in the stadium because we did a card trick where ..Michael loved children — and so one of the things we did was we had all of the people in the audience begin to hold up these cards and as they went around the whole entire stadium it turned into a chain of almost paper cutouts of little children holding hands you know. That would have been the greatest mass of people, and what is that 50,000 people or something? I don’t even know. This entry was posted in In His Words, Uncategorized and tagged Bad Tour, Beat It, Michael Jackson, Smooth Criminal choreography, The Way You Make Me Feel, Thriller, Vincent Paterson. Bookmark the permalink.